The “Quiet Beatle” once made some noise in Illinois . Beatles Radio: The Beatles, Solos, Covers, Birthdays, News The Fab 4 and More! “Whenever you say ‘Beatles’ – that’s the magic word,” said Springfield-based filmmaker and super-Beatle fan Robert Bartel. He would know. 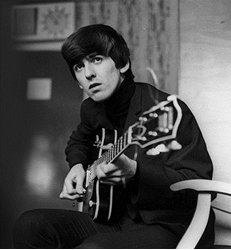 His 1999 documentary A Beatle in Benton, Illinois – which details a single fortnight visit to the southern Illinois town in 1963 by 20-year-old George Harrison in order to see his married sister – is not only a consistent seller nationwide but has bizarrely managed to win Bartel a best documentary “Oscar” statuette 19 years after the film’s initial release (a 240-minute, two-DVD version was released in 2016).